My favorite time of year is December/January during the Holiday Season. I love spending time with everyone at all the holiday parties. I love the time off work spending time with our little family. I love the start of a new year. And I love gift giving handmade gifts! There is this level of extra excitement that comes when you are laboring to make something completely unique for someone special. I just LOVE it!! Certainly it would be great to make the gifts way ahead of time and it works well because it takes away a bit of worry, but for me I love making the gifts closer to when they are gifted. SO during the month of December I am busy making all kinds of cute things. AND... this year I am making some super special things that I just had to share!! They are just too cute to not!! Over the next week I will share everyday... if things go to plan, the cute gifts that are just getting finished. Also, I will be sure to share where to find the tutorials I used, the supplies, extra tips, and my own tutorials, so much FUN! 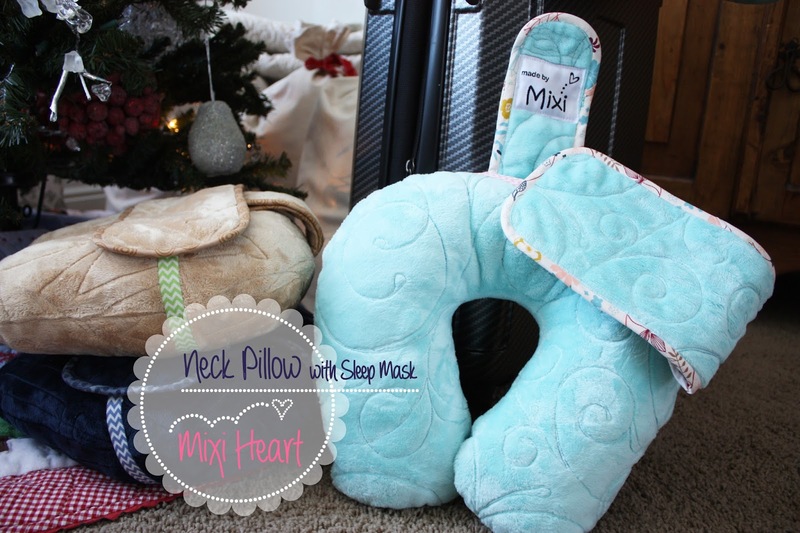 CHECK IT OUT - TRAVEL NECK PILLOW with Mixi Heart face sleep mask. First off I will share the tutorial I used for the travel neck pillow and then share my tips and tricks throughout this post. 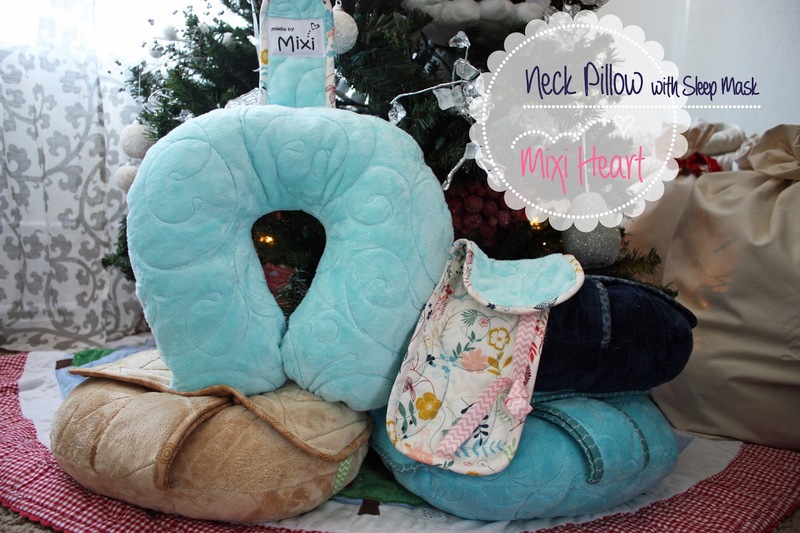 CRAFTY GEMINI just nailed it with her tutorial for the neck pillow!! 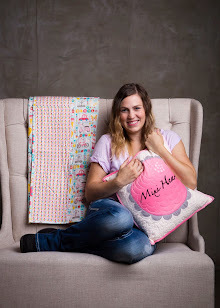 I was pointed in the right direction by a friend and I was just tickled to find such a cute pattern template and a video that was so simple to take a few minutes out to watch. I added a couple things and tips below, perhaps read and then follow up with her video and you will be more than ready to make your own cute handmade gifts. 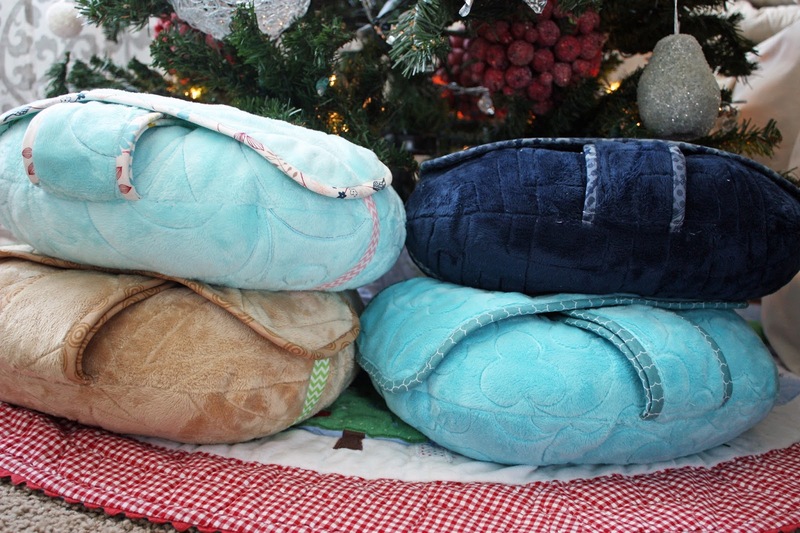 I used Shannon Fabrics Cuddle Minky for all of these pillows. They offer beautiful fabrics!!! I used their solids but don't even get me started talking about their prints and embossed Minky. For the pillow tutorial Crafty Gemini did all the work with her wonderful video and template. I just modified a little. 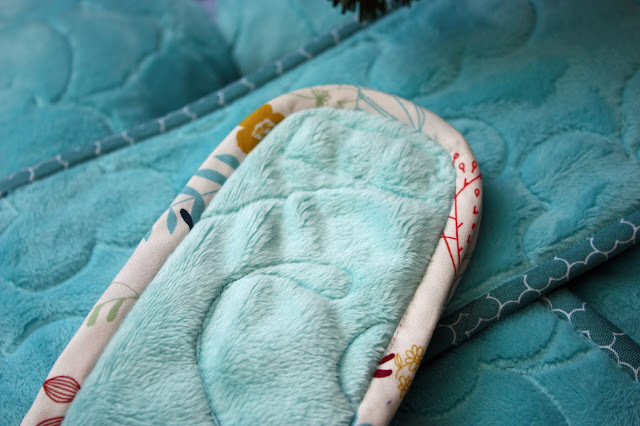 How I expanded on Crafty Gemini's design was to quilt the Minky before cutting out the pillow pieces. Why did that make a difference? - Well Minky is stretchy and slippery. She will share that in the video. 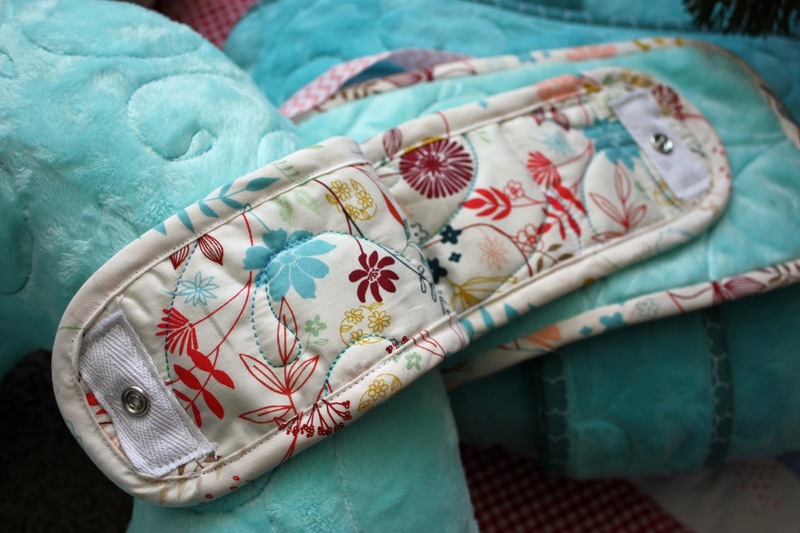 However, if you quilt the Minky before, it keeps that AMAZINGLY soft feel but gets stabilized. Plus, doesn't it look darling!!! Oh my goodness!!!!! I quilted strips of Minky 70" x 15" with 14" x 65" of quilter's cotton fabric to have plenty of fabric left to make face sleep mask and snap straps. The second way I expanded on Crafty Gemini's design is the addition of shredded foam and weighted stuffing beads. One thing that I should mention is when making a quality product I want to use quality materials. When I use quality materials it makes ALL THE DIFFERENCE. 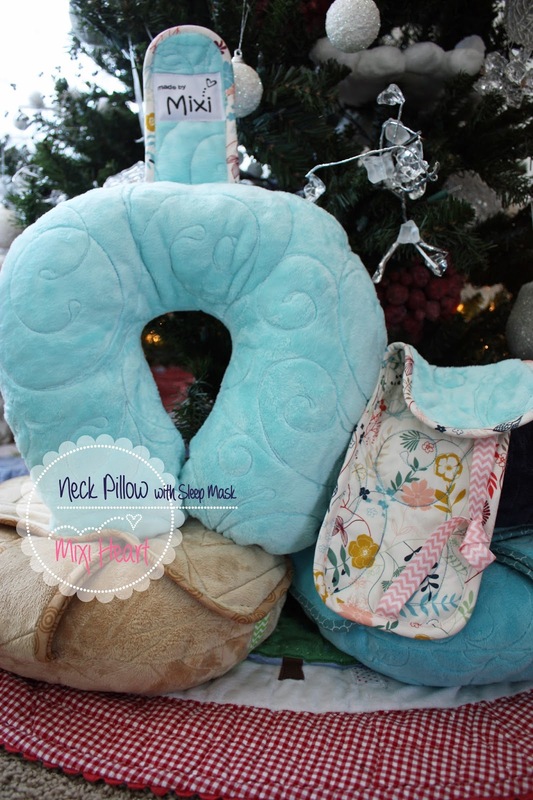 I want these pillows to be super functional and last with time and wear. 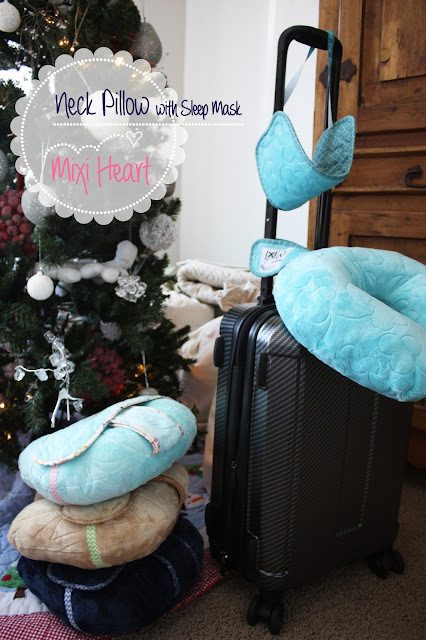 Because these pillows might get a little more ruff wear being transferred all over I really considered what I was going to use to stuff them. Fairfield's products fit the bill and then some! To stuff my pillows I used about four handfuls of Poly Pellets in each pillow. Before adding anything I added three handfuls in the bottom of the pillow (or the legs). 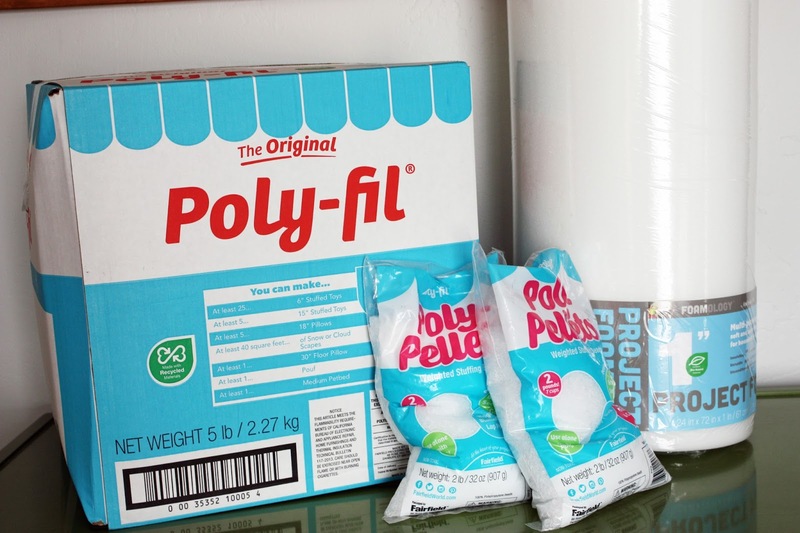 Then I proceeded to stuff with a combination of Poly-fil and Project Shredded foam. I love adding shredded foam because it has that denser fill to it. How to shred foam is simple... cut little chunks with scissors to size desired and insert in pillow. The combination of poly-fil and poly-pellets and shredded project foam fills all the little gaps. Finish by adding the last handful of Poly-Pellets at the top of the pillow. The poly-pellets feel so nice to the touch at the bottom. These pillows wouldn't be the same without the fillers. You will need to round all corners of your Face Sleep Mask. 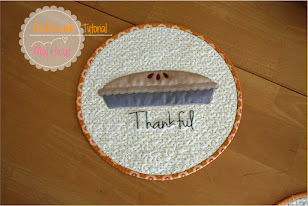 You can accomplish by using the round edge of a spool of thread. Trace around spool and cut away the extra fabric. Fold the mask in half lengthwise and pin foldover Elastic at each point on Fabric Side with right sides facing out. Apply Bias Binding around edge sewing first on Minky side and folding over on Fabric side. And TA DA!! 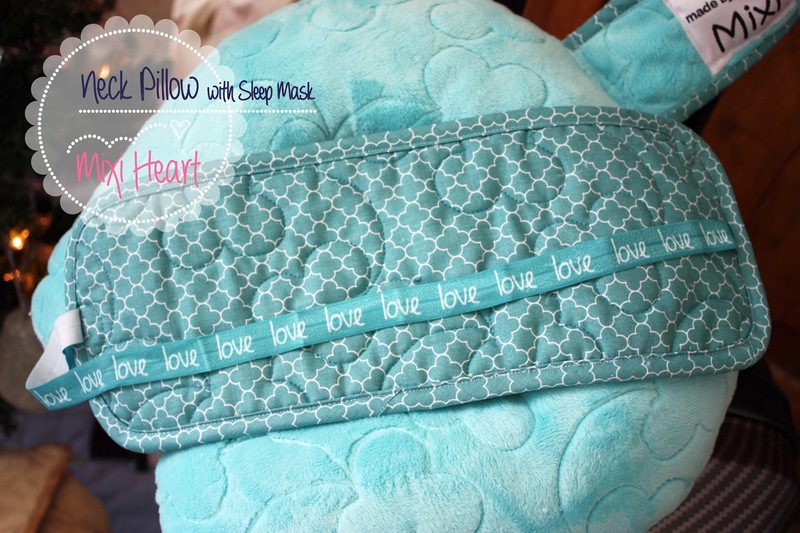 Finished Matching Face Sleep Mask. (this mask will wrap to cover your ears too, I wanted more of a face mask than just an eye mask to cancel out the extra noise you might get in say an airplane). What is fantastic about the fold over elastic is that it easily knots to adjust for size and comfort. Because who knows if you want it loose or tight and this allows for the customization. How great is that! Oh my goodness the CUTENESS!!! The fourth way I expanded on the idea was to add a snap strap to the top to attach to luggage. The reason why I was thinking that I might need this feature is because we have four people in our family. 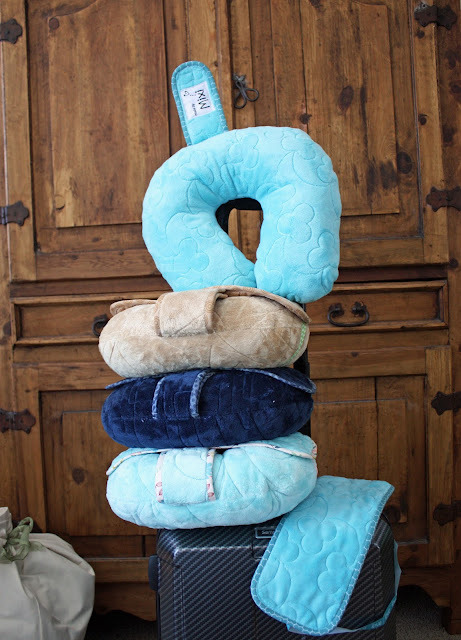 I was thinking that we would need a quick way to attach and carry the pillows. 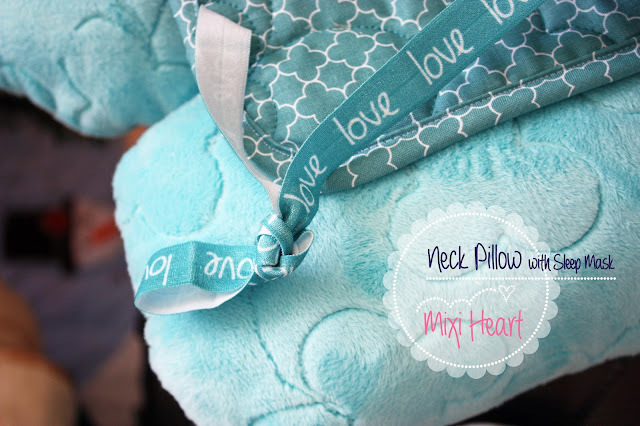 The Snap Strap simply just slips inside the turn gap on the back side of the pillow. Round two corners of each strap piece. 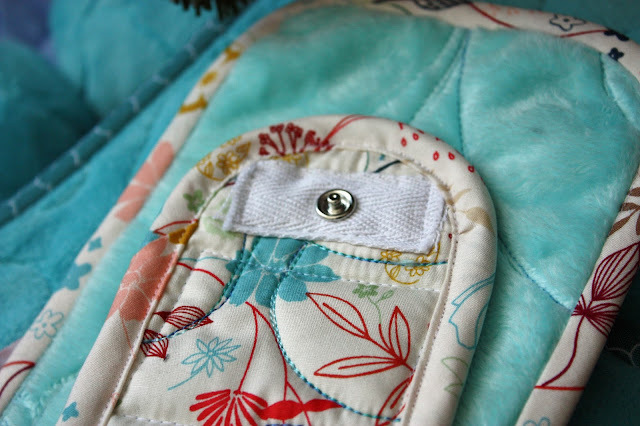 Attach snap centered to the curved corner side on the fabric side each of the strap pieces. Apply Bias Binding around edge sewing first on Minky side and folding over on Fabric side (it is tricky to sew the binding with the male side of the snap because it interferes with the sewing foot, just go slow and it works out :). 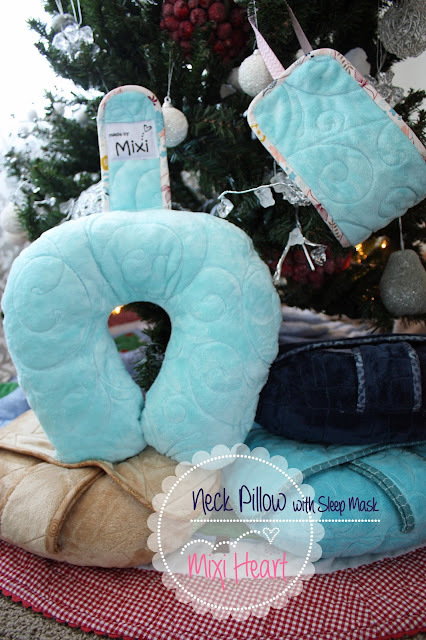 Simply add the snap straps on either side of the close gap after pillow is stuffed. I closed the gap with a whip stitch the best I could but then squeezed the pillow under the sewing machine and added a stitched line by machine. I just felt this would add that extra secure closure that it might need. 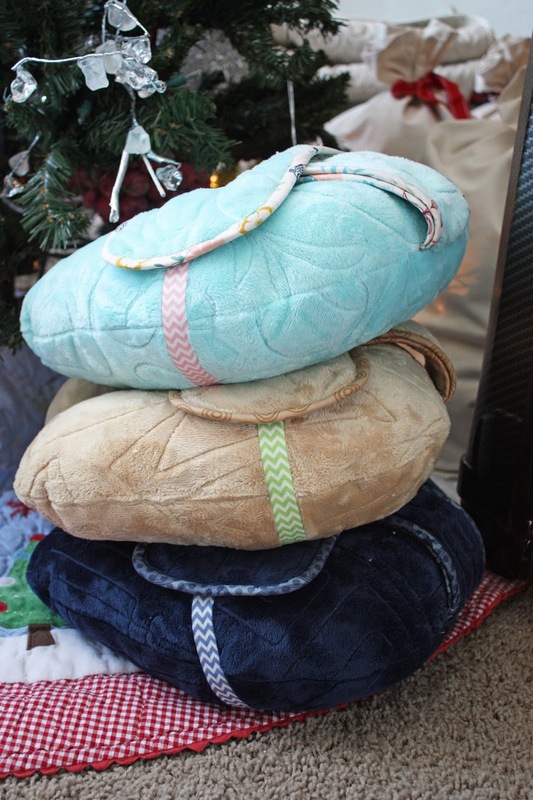 It was tricky because there is a lot of pillow to squeeze in there but again if you go slow it gets done. I started in the middle and sewed out and then repeated the other direction. The nice thing about adding these extra seams is that the Minky really camouflages the minor flaws. So don't be too hard on yourself. AND THAT IS THAT! 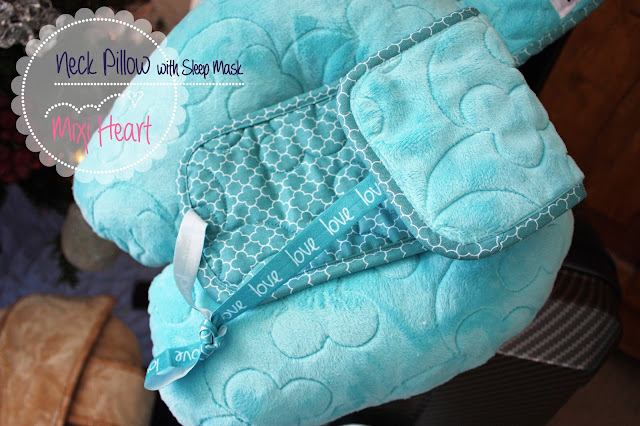 Aren't these little pillows and masks so cute! I love the fabric and elastic and minky combinations. They are just so fun to look at and I know my little family is going to love them. The best part is that they are finished!! That is a huge relief to get a project checked off the list.